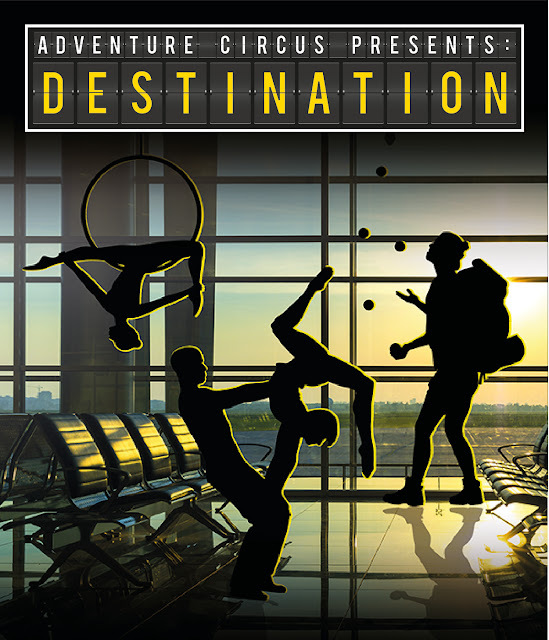 Adventure Circus are proud to present our next full length aerial circus production.... Destination! Following on from the success of sell out show Seasons last year, our cast will be returning to provide you with a fantastic new show! 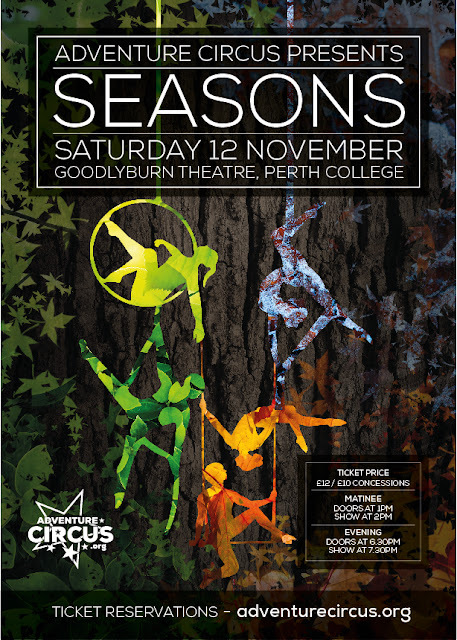 Place: Goodlyburn Theatre, Perth College Campus, Crieff Road, Perth. 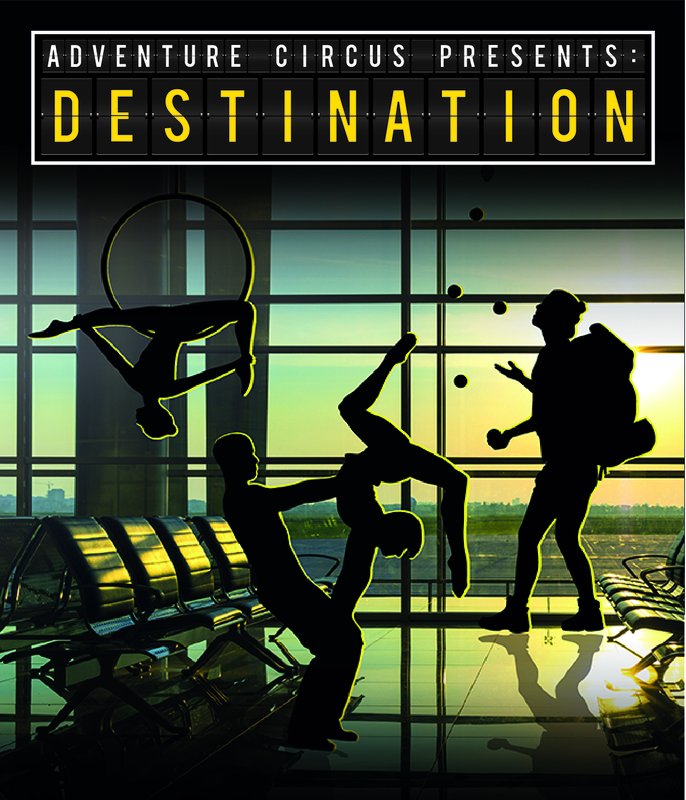 Destination is an around the world tour, featuring various different countries, cities, cultures and of course....circus! Our team of acrobats will lead you on this journey, with each act influened by a different country or culture. 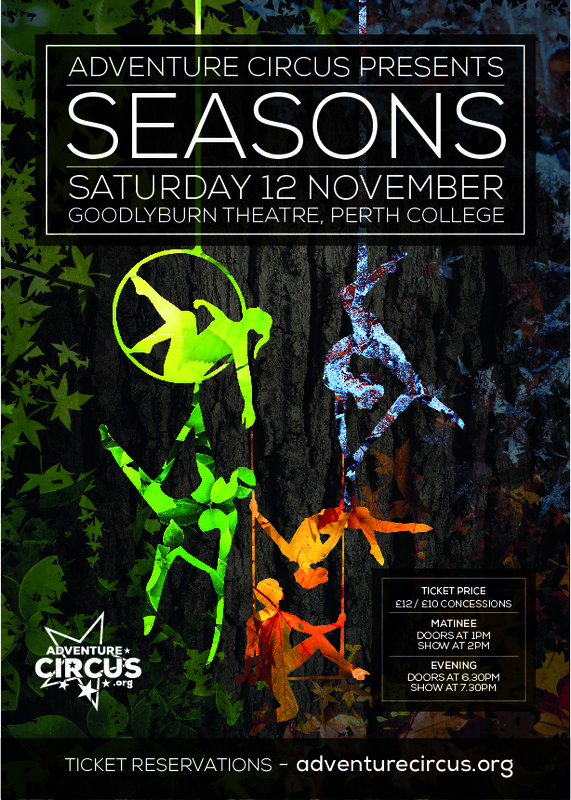 Acts will include aerial, acrobalance, juggling and more, and everything is created by our instructors and students as a combined effort. For some, this is their 2nd....3rd...10th show even, but for others this will be their debut performance! We would love you to come and join us in this experience, and you can do so by purchasing tickets by clicking the paypal button below. There will be a small charge of 60p for paypal purchases, bringing the total cost to £12.60. You can also speak to our instructors or students directly to purchase tickets at a discounted price of £10. We also have a Pay It Forward scheme. This is our charity donation scheme where you are able to purchase another ticket to support our charity partner - The One Stop Shop - and we will match the donation with another ticket! The One Stop Shop is a service which supports adults (16+) diagnosed with autism spectrum condition. The services are provided by the Autism Initiative Scotland. We hope to see lots of you there, and please tell your family and friends to come along as well, we want to make this our second sold out production!! 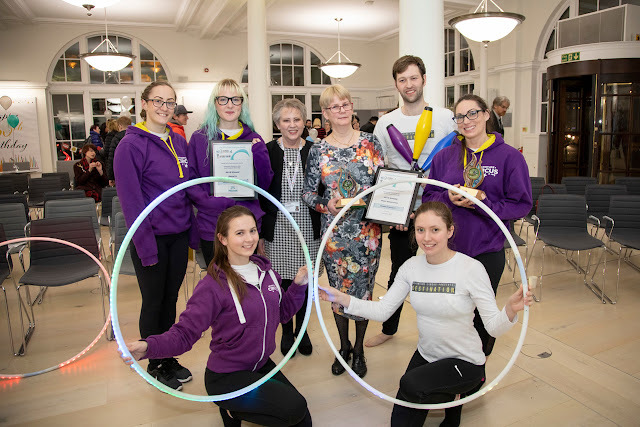 After the evening show there will be a circus social gathering at The Venue (the pub) so please come and join us and find out more about what we do and give us feedback on the show. ALL TICKETS ARE SOLD OUT. THANK YOU!